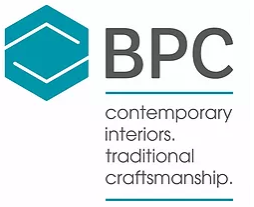 Eque2 are pleased to welcome BPC Interiors Ltd and Bluecrow Projects who have chosen Evaluate to support the growth of their business by dealing with more tenders on a larger scale with greater accuracy and efficiency. Bluecrow Projects are shopfitters who specialise in the restaurant, bar and retail sectors with a vision to deliver the highest quality workmanship, on time and within budget. Due to growth in the business they were struggling to get tenders out of the door fast enough and struggled to track critical information correctly such as passing accurate details over to the Project Manager around what was tendered against a job. Evaluate will transform the way Bluecrow manages their tenders ensuring everything is logged correctly, the business also opted for the powerful Project Enquiry Center module that will allow them to collate and analyse responses via an online portal, ensuring their project manager receives the correct information around what was tendered against a job. BPC Interiors Ltd are one of the UK’s leading suspended partitions contractor with offices in London, Manchester and Leeds. BPC were using complex spreadsheets to manage their estimating processes, with the business growing they are starting to tender for more jobs on a larger scale and needed to speed up tenders and provide visibility across the team. BPC opted for Evaluate as it will allow them to pull off data from historic jobs and re-use, provide them with an integrated On-screen Takeoff tool and streamline their processes, allowing them to get tenders out the door faster.